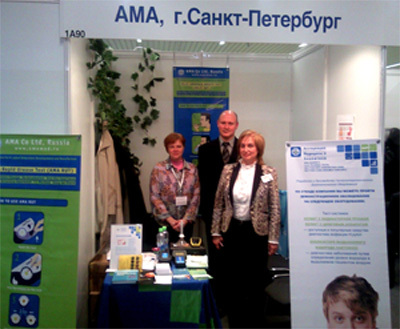 AMA is glad to invite you to the biggest Russian medical exhibition Zdravoohranenie-2011, Moscow, 5-9 December. At AMA’s booth you can see the samples of the AMA RUT for Helicobacter pylori detection, to participate in the demonstration of the diagnostic procedure with HELIC ABT. You are welcome at the Pavilon 1, stand A90! To visit the exhibition please register on the official ZDRAVOOHRANENIE site.